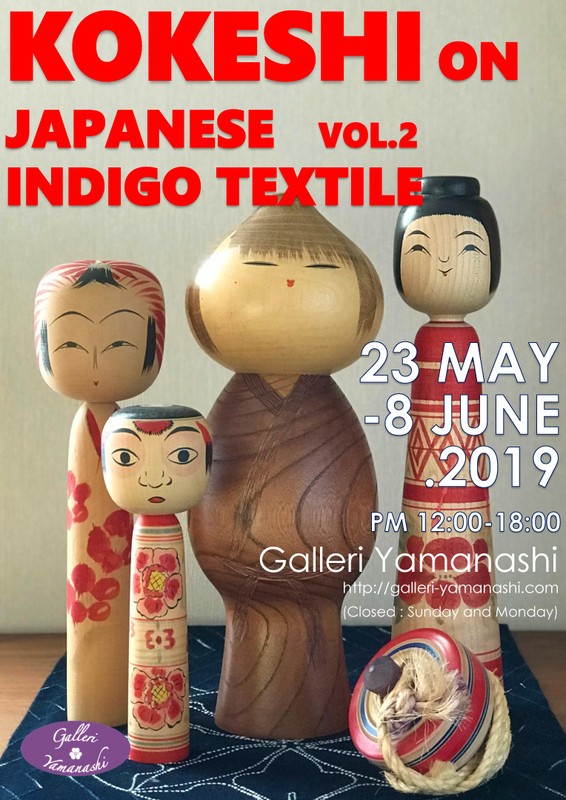 Following the popular Kokeshi doll exhibition in 2018, Galleri Yamanashi will present about 100 unique traditional Kokeshi from several villages in north Japan. 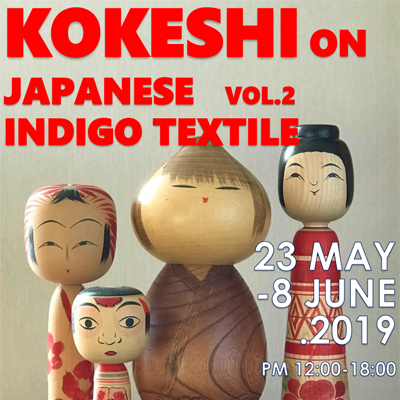 They will be displayed together with old indigo textiles and sashiko embroidery. Many of the Kokeshi are antique, and most of the items, including textile works, are for sale.